The Cleveland Browns needs to share revenue with the City of Cleveland to the extent that football is supported by the public purse. I do not favor giving the Browns any more money for the stadium unless we the people become full and mutual partners in the revenue–not necessarily, just in the profits. What the public has invested now needs to be calculated honestly, and what the owners have invested now needs to be stated transparently and completely. From that point on, further capital contributions can be tracked, and concessions and incentives can be tallied. Revenues should then be divided. Profits come after that. Let them move the team if businesslike terms aren’t palatable. This extortion must end. Living with a lease negotiated while Mayor Jackson was President of Council, surely, does not mean we should continue to give and give more than necessary. As one of our elected officials meant to counterbalance the City Administration, please do your due diligence and remember those who believe in your ability to stand up to bullies. Also, I believe support of the team should be regional, not merely shouldered solely by the City of Cleveland. CLEVELAND – Residents living around W.C. Reed Playfield in Cleveland are worried about the future their neighborhood park. The park was closed by the city of Cleveland in November because of soil contamination. It’s a case now being handled by the U.S. Environmental Protection Agency, but residents said they’ve had very little input as to how the park will be cleaned up. Members of the Southwest Citizens Council contacted NewsChannel5 hoping we could get them more answers as to how the park will be cleaned and renovated in the coming months. Residents like John Baran, who’s family has lived near the park since 1924, are worried an overly aggressive cleanup will do more harm than good. Baran told NewsChannel5 residents are being left out of the loop and are being given very little information from the EPA on how the cleanup will be handled. Ward 3 Cleveland Councilman Joe Cimperman agrees. Residents report the 12.5 acre park was built on a landfill that was used for the dumping of industrial debris in the 1940s and 50s. Residents told NewsChannel5 the city was set to renovate the park, but discovered soil contamination when it took a series of core samples in 2012. Cimperman confirmed the city has set aside $350,000 to renovate the park, but with a $2 million EPA cleanup looming, residents are wondering what will be taken out during the cleanup. Baran is concerned opening up the landfill and moving tons of soil will create more health risks. “It’s been capped, why open it? Why permit these toxins to become airborne, and possibly effect the health of these residents that live in these neighborhoods,” Baran said. NewsChannel5 contacted the EPA Region 5 office in Chicago in the search for information. We asked if there will be yet another public meeting concerning the cleanup at W.C. Reed Playfield and whether residents would be allowed to have input into the clean-up process. The US EPA responded, it told 5 On Your Side it will save several large trees on the park property, and it will not move forward with the project until it meets with the residents to discuss clean-up options. Meanwhile, residents are hoping the park can be cleaned with minimal damage to the trees and landscape. Residents are so involved with the preservation of W.C. Reed Playfield, they have set-up this website on the subject. NewsChannel5 and newsnet5.com will keep you updated on this developing story as soon as information become s available. This kind of high handed “full steam ahead” without adequate community engagement is unacceptable. 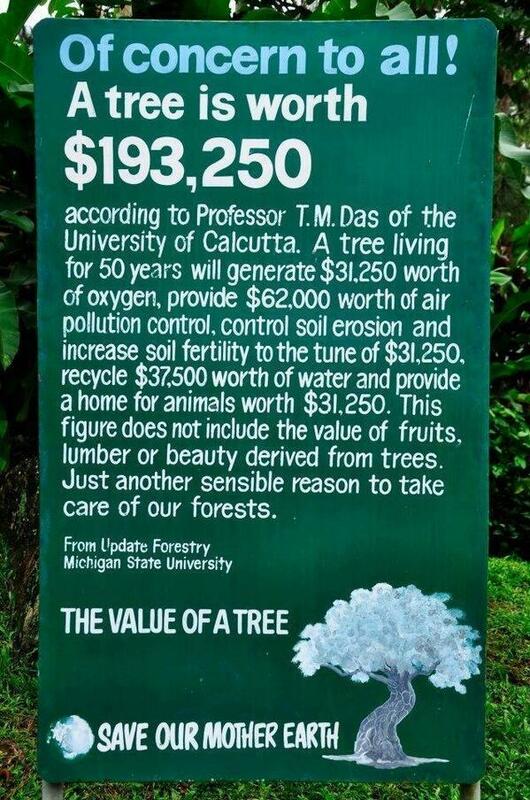 Destroying trees that have a value of $192,973 per tree and replacing them with 2 in. saplings because they MAY BE toxic is unacceptable. Trashing a neighborhood park in the name of “remediation” with funds from the EPA is unacceptable. For years, residents near the park have asked for routine maintenance of the trees only to be told how long the maintenance list is, how small the Urban Forestry budget is, and how short handed they are is unacceptable. In the light of the unwillingness for the City to provide the documentation that provides the FACTS concerning why the trees must be destroyed is unacceptable. I find it exceedingly strange that when new housing was proposed along the park and on Denison Avenue, these environmental concerns were down[played as “having no effect” but when park improvements that are strictly discretionary and DO NOT have to be done, environmental issues that will allow EPA funds be used for a contract for remediation the landscape changes. WHY??? Please provide the documents the residents requested posthaste and STOP the forward momentum until the community has answered. Please release all planning and informational documents pertaining to the renovation and remediation of WC Reed Field. Residents have not received materials as promised at public meeting held at St. Barbara’s Church in December 2012. Commissioner Cox assured residents that these materials would be made available for review at the Cleveland Public Library Brooklyn Branch 3706 Pearl Rd. Cleveland OH 44109. We are now being told that the City of Cleveland plans to proceed with contract under Ohio EPA for remediation that is to include removing all trees at the park. For the record, residents have not been given adequate information or notice for this to proceed and residents are opposed to removal of mature oak trees in the park.